Born John Ronald Reuel Tolkien, on this day in 1892, he is best known for his original worlds and creatures, many of whom appear in The Hobbit and The Lord of the Rings stories. Through a thorough exploration of his life and work, Edward Willett brings to life the inner workings of the mind of J.R.R. Tolkien who made fantasy writing what it is today. This book includes an "In Your Own Words" section. which draws on several interviews with Tolkien, a timeline, a major works and a selected additional works list, as well as "Words to Know" and a "Further Reading" list. You can preview this book on google books. J.R.R. Tolkien: Master of Imaginary Worlds from our Authors Teens Love series is available from Enslow, Amazon, Barnes and Noble, or your preferred vendor. The Twilight Saga: Breaking Dawn Part 2 opens in theaters today. Did you know that author, Stephenie Meyer was simply writing for her own entertainment when she expanded what started out as a dream into the full-length story of Bella and Edward? Being an author had never even crossed her mind. 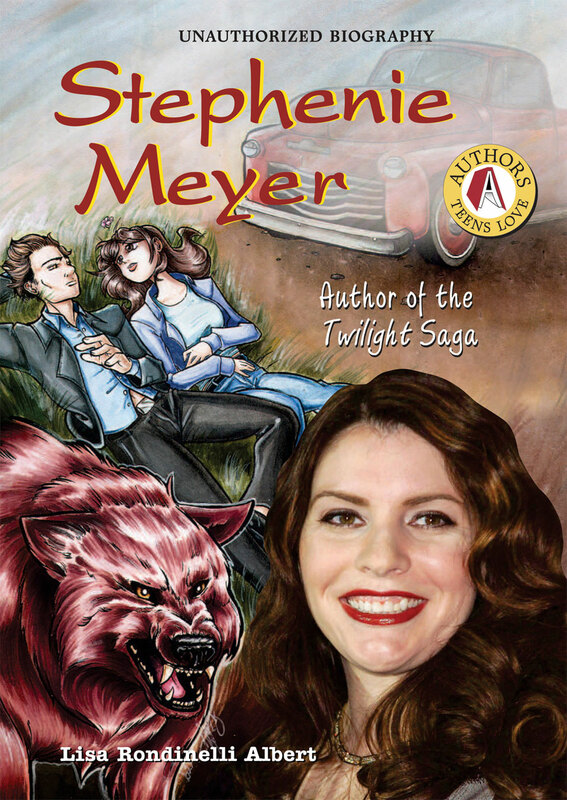 Fans can read more about Stephenie Meyer in our biography, Stephenie Meyer: Author of the Twilight Saga from our Authors Teens Love series. Read a review of the book here. Makes a great gift for Twilight fans! Available from Enslow Publishers, Amazon.com and Barnesandnoble.com.